Eran Stiller is a software architect, consultant, instructor and technology addict. 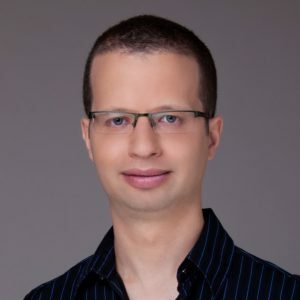 With many years of experience in software development and architecture, Eran is recognized as a Microsoft MVP on Microsoft Azure for his contribution to technical communities worldwide. A Co-Founder at CodeValue Ltd., Eran practices software architecture at various clients on an almost daily basis, reviewing many designs in many professional fields. As CodeValue’s Chief Technology Officer, Eran is in charge of learning and promoting the usage of various technology platforms throughout CodeValue’s projects and customer solutions. Eran instructs various software courses and workshops and is a frequent public speaker at various events, meetups and user groups on topics he finds especially interesting. Furthermore, Eran is a co-organizer of Azure Israel, which meets every once in a while to discuss all things related to Microsoft Azure. He is also an upcoming Pluralsight author, currently working on his first course.